A certificate can be downloaded from the corresponding URL entered here. Enables the downloading of certificates. Enter the download server (its name or IP address) and the port. A certificate file can be integrated with this option. 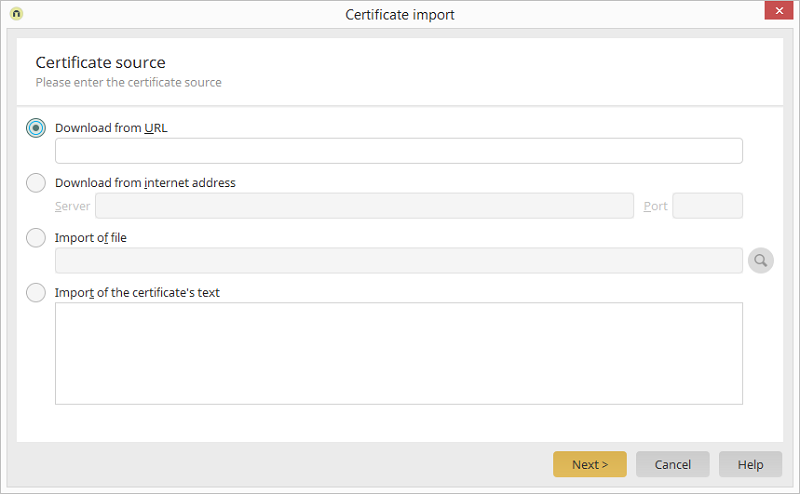 Enables the direct import of certificate texts. Enter the corresponding text in the edit field.